A common cause of water damage is blocked gutters. Once water builds up in your gutters, it will seek to flood elsewhere. That means that anywhere from your roof to your foundation might be at risk of water damage. What’s good about gutter blockages is that they’re an easy fix. 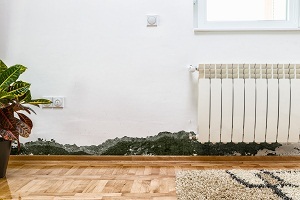 Many people consider water damage to be exclusively limited to the house itself. However, water damage can also occur because of any pipes and water lines extending from your house. This includes sprinkler systems and septic plumbing. To prevent damage from any of these structures, you should watch where you dig as to prevent directly hitting anything. You should also do this when you plant, as root systems are known to harmfully interact with underground piping. There are two dangers to your pipes that occur when you put certain substances down them. The first is grease. Though not harmful to the pipe’s integrity, a buildup of grease can slow down your plumbing and lead to damage. A substance that can actually wear your pipes away is liquid plumbers. While they may be proven useful against blockages, they may do their job a little too efficiently and actually erode the pipes, causing interior flooding. At the end of the day, water damage can be a burden to your home. Before you have to call local professionals of water damage removal in Roswell, it is crucial to remember the above tips and keep your home safe.